ETHDenver is now only days away — this February 15–17th — and we’re getting more excited by the block. The largest of ETHGlobal’s worldwide network of events that stretches from Buenos Aires to Bangalore, ETHDenver is a major destination for Ethereum developers looking to link in with a global community to BUIDL us into the next phase of blockchain technology. Come find us at ETHDenver this year! Follow along at @consensysevents. Starting February 11th, BUIDLWeek kicks off with a series of events and meetups, and the dev party doesn’t stop until the 17th, when ETHDenverites descend from a mountain retreat to continue their plan to decentralize the world. In between is a chock-full calendar of hackathons, panels, workshops, and social events that make ETHDenver one of the most productive and fun weeks any Web3 developer can spend — just make sure to bring a jacket! In the midst of both a literal and figurative winter, it’s time to buckle down and build. ETHDenver is a hackathon, after all. There are several ways to earn bounties and prizes at ETHDenver this year. Various sponsors will be offering bounties for hackers, all of which will be officially announced the week of the BUIDLATHON by sponsors and ETHDenver. There will also be awards for categories like “Most Innovative” and “People’s Choice”, which you can learn more about in ETHDenver’s official judging guidelines post. There are even some bounties up for grabs already, including one where you can help Bounties Network & UNICEF name the social impact token they’ll be piloting with ETHDenver. You’ll be able to check out guides & tutorials for many of the sponsor projects and submit your projects via Kauri. ETHDenver isn’t just for developers. Truebit is coming back to ETHDenver with their #ArtProject Maker Space. The space will feature musical performances, crypto art, and host workshops to get participants involved in creating their own ArtDAOs. You can learn more about the workshops & how to get involved in this article from TrueBit. Everything at ETHDenver — from hackathon submissions to food sales — will use the Ethereum blockchain. Kauri, a knowledge base for the Ethereum development community, will be used for project submissions and tutorials. The hackathon will even have its own localcoin — buffiDai, a collaboration between MakerDAO, Status, POA Network, Solidcoin, SendWyre, Quantstamp and Gitcoin. Each attendee will receive their own web wallet pre-loaded with buffiDai, which they’ll use as their currency for the conference. 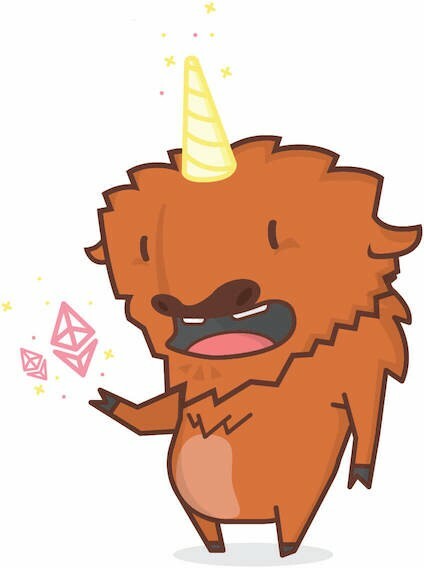 The goal is to create an entire crypto-economy within ETHDenver, if only for a few days. Everyone’s favorite Bufficorn is now a currency! It’s time to figure out our path forward — and the best way to do that is to get a bunch of Ethereum builders in the same place. There’s one thing everyone can agree on — the community is the best part of ETHDenver. It’s the largest ETHGlobal event -over 2000 people are already confirmed to attend this year. There are workshops to help you brush up your skills, and parties where you can meet other people. What are you looking forward to at ETHDenver? Tweet at us @consensysevents and let us know. Look for us at ETHDenver! ConsenSys will be there along with @kauri_io, @getgitcoin, @ethbounties, @gridplus, @rhombusnetwork, and representatives from some of our other projects. 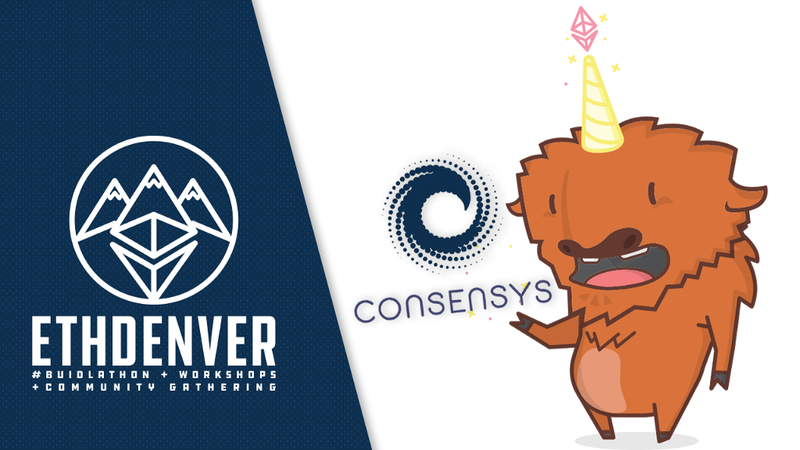 5 Things We’re Looking Forward to at ETHDenver 2019 was originally published in ConsenSys Media on Medium, where people are continuing the conversation by highlighting and responding to this story.